There are a lot of different extracurricular activities to choose from for children, and only so much time and money to make them happen. While the focus tends to be on sports for the physical benefits, there are a lot of non-sport options that deserve consideration, acting classes most of all. Acting classes boast numerous skills and benefits that a child will carry through their daily lives. Here are some compelling reasons why your kids should be in acting classes. Don’t think of the fact that your child isn’t on a sports team as a con to opting for a non-sport activity. While acting may not mean your child is on a team in the traditional sense, they’ll be a part of a larger community and have to work with others on a regular basis. Even while working on solo skill development, there’s a sense of camaraderie and support in the acting community that’s hard to find elsewhere. Children have big emotions for little people, and they don’t always understand why they’re feeling what they’re feeling or how to express it in a way that adults will understand. Acting classes present an opportunity to explore different emotions and help children define them. This translates into their daily life as they struggle to express what they’re feeling in words. Acting classes also provide children with an outlet to express emotions they sometimes wouldn’t be able to, but in a healthy way. Acting classes can be an outlet for anger or the opportunity to laugh and be loud after a day of sitting quietly in class. Getting in front of a group and making one’s voice heard is challenging for both children and adults. Having the confidence to perform in front of others is an incredible asset that can be developed with time and practice. Acting classes present an opportunity to hone this skill and build confidence by creating a supportive community of children trying the same things. They are given the opportunity to be heard and supported, as well as to hear and support others with the same passion. 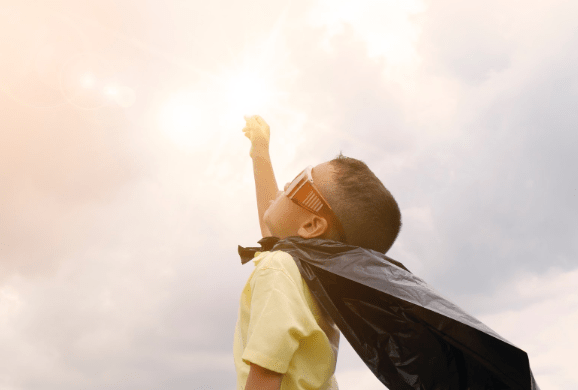 Not only will this exercise help kids be more confident in making themselves seen and heard, but it will also help them build empathy as they support others developing the same skills. Children’s acting classes aren’t about sitting around a table reading lines. They include active activities that get children moving, interacting, improvising, and using their imaginations. Serious acting necessitates control of the body and often the ability to move effectively and hold positions for significant lengths of time; balance and coordination are key. Acting classes allow children to develop their motor skills through movement and play. In addition to developing stronger motor skills, acting classes help children develop their minds through concentration and memorization. They will learn how to concentrate on what’s happening around them, so they know where they fit. They’ll learn how to concentrate on what’s happening within them as they learn to develop their character. Learning and memorizing lines and scenes will improve their retention and comprehension skills. Finally, putting your child in acting classes will help them develop a passion for the arts that will shape their path ahead. The combination of physical and mental activity make acting classes an optimal choice for an extracurricular activity.